Is Chrome OS to have remote desktop 'Chromoting'? An email from a Google engineer has revealed that the company is bringing in Chromoting for Chrome OS – essentially a remote desktop so you can use more traditional software programs. With Chrome OS due to make an appearance before the end of the year, the excitement is building over Google's operating system which is essentially built around a browser. But fears over programs that simply do not practically run in the cloud may be allayed somewhat by the revelation that Chromoting will allow you to run 'legacy PC applications right within the browser'. 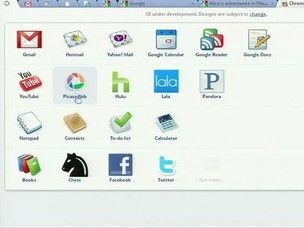 The Register has found an email by Google software engineer Gary Kačmarčík that outlines the Chromoting functionality. "We're adding new capabilities all the time," the email reads. "With this functionality, Chrome OS will not only be [a] great platform for running modern web apps, but will also enable you to access legacy PC applications right within the browser." Google is working hard to iron out the problems with the concept of a browser-led operating system, with simple tasks like printing still causing consternation despite the announcement of Google Print Cloud.